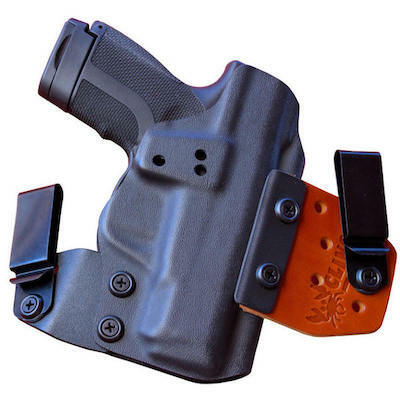 Also known as the M&P 45 Shield Thumb Safety, the M&P Shield 45 provides the all the features of M&P’s full-sized pistols but in a small, lightweight version, perfectly intended for concealed carry in our S&W M&P Shield 45 concealed carry holsters. Usually when we think of large caliber pistols, we think big gun. This isn’t the case for the M&P Shield 45. 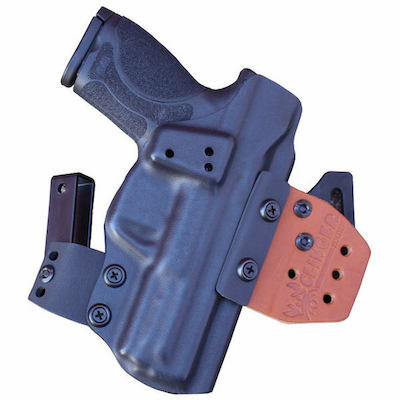 Read our review below, then browse concealed holsters for the M&P Shield 45. M&P has melded all its wonderful full-size features into the M&P Shield 45 including striker-fired for consistent trigger pull, and their patented take-down lever and sear deactivation system. The take-down lever allows for easy disassembly without pulling the trigger. 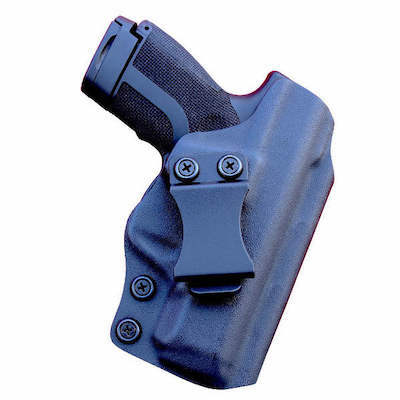 The Shield 45 also has the same 18-degree grip angle as the full-sized Shields for a natural point of aim. 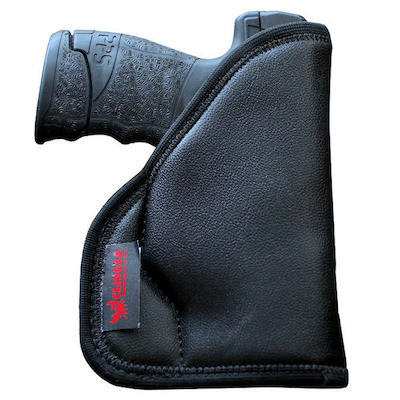 The M&P Shield 45 has a white dot front sight and white two-dot rear sights with the patented Armornite slide finish. The frame is a polymer finished in matte black and embedded in frame are stainless steel rigid chassis. 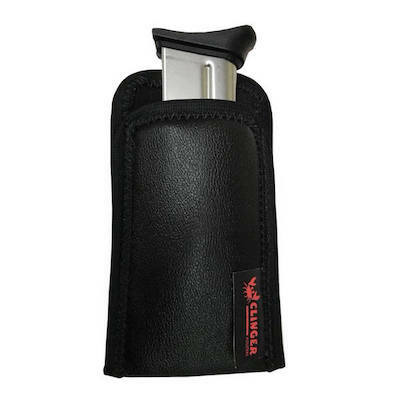 The pistol also comes with two magazines; one with an extended magazine for a full-sized grip and an extra cartridge. On the M&P Shield 45, Smith & Wesson has included a new aggressive grip texture for better handling and a secure grip, especially for this caliber. This pistol also comes with a thumb safety, which is handy for shooters who like to carry cocked and locked. The Shield 45 has a 6.5 lbs, crisp trigger pull which makes getting accurate shooting a breeze. M&P also added new front cocking serrations. 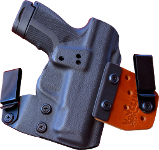 The Shield 45 is also extremely slim, one inch in width, and light, a mere twenty ounces, for comfortable carry all day long, whether in an IWB holster, or belly band, and is perfect for deep concealment. 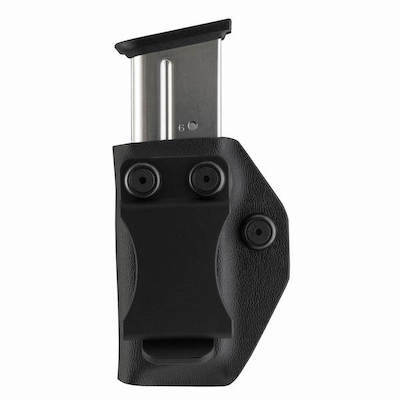 Browse our M&P Shield 45 Kydex holsters today.